Earlier this week we have seen that a cyber crime investigator Brian Krebs blog krebsonsecurity was hit by a DDos attack, which was the biggest DDos attack of 665Gbps on the Internet history. One of the largest hosting companies in the world OVH hosting have also suffered from another biggest DDos attack. OVH hosting server were hit by DDos attack of 1 Tera bytes, - yeah.! 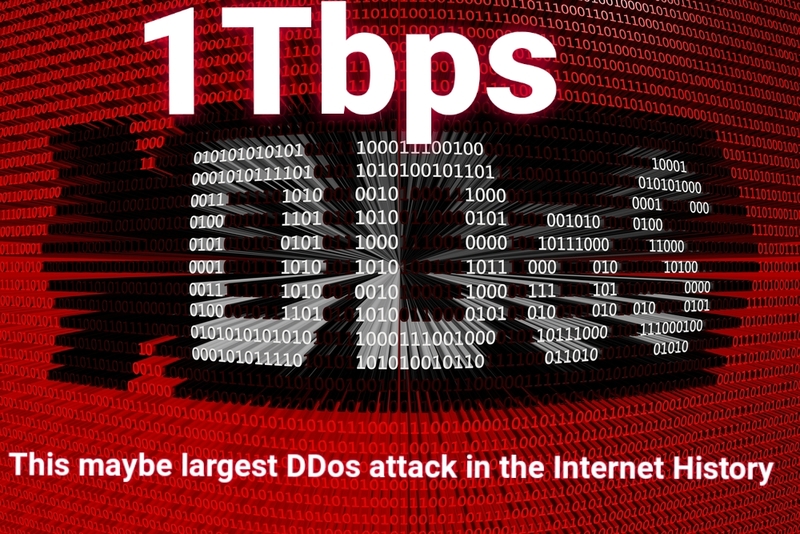 It's 1Tbps, and this is the biggest DDos attack we have ever recorded. Tweet also contains the screenshot explaining that multiple attacks exceeding 100 Gbps were directed towards OVH servers including simultaneously occurring 1 Tbps attacks. Next day, Klaba said ( via a tweet) that that the attackers used hacked Internet of Things device (IoT) including surveillance cameras to conduct DDoS attacks on his company’s servers. It's seems that there is a race going on for DDos, isn't? What you think on this, speak on comment box.